Hall Hunter Partnership (HHP) is a family business located in Berkshire, Surrey and West Sussex. HHP was started in 1966 and is now a leading UK grower of strawberries, raspberries, blackberries and blueberries; the major customers being Waitrose, Marks & Spencer and Tesco and marketed through Farm Fresh P.O. Ltd.
We aim to grow the best quality soft fruit available in the UK on our farms and glasshouses. We also aim to attract the right people into our business and to look after them in a way that allows them to grow as individuals and want to return the following year. HHP packs all of its own soft fruit, together with some from other UK growers. The season starts in April / May and finishes in October / November depending on the weather. We aim to produce the best quality soft fruit available to the UK market by growing the best varieties in innovative growing systems, supported by market leading cool chain technology and logistics. We aim to recruit, retain and develop individuals who aspire to be the best growers and managers in UK horticulture. Our systems are designed to be sustainable for many years to come, supporting as broad a biodiversity as is possible in and around our farms. Our strawberries and raspberries are available from April until December with the other fruit that we grow maturing in the key summer months. We choose varieties carefully and grow our fruit in such a way as to ensure that it is all of the top quality that our customers love to eat all summer long. We aim to grow our crops in fields that are rich in biodiversity with many predatory insects managing pests such as aphids for us. The segmentation of fields with hedges and beetle banks helps to support these communities and also makes the farms a nicer environment to work in. We also try and incorporate wild flower areas on the farms as well as woodland in order to support as wide a variety of birds and mammals in each field. Arable crops such as rye, mustard and green manure crops are also used in rotation and help maintain the fertility and biodiversity of the soil. The majority of our fruit is protected by polytunnels for at least part of it’s growing season. We use tunnels in order to provide them with the ideal growing environment and to protect the crop from rain damage. This enables us to reduce the amount of pesticides that we have to use by 60% which is in line with our environmental objectives. This method of growing also allows us to manage when crops are ready for the market, thus maintaining a continuity of supply for our customers. Heathlands Farm is the ´home´ farm of HHP. Mark and Mary Hall have been farming on Heathlands Farm since 1966. Historically, the farm produced vegetables for the London markets but it is now fully dedicated to the production of strawberries, raspberries, blackberries and blueberries. The farm is also HHP´s administrative centre and houses the workshops and the transport office. Sheeplands Farm was established in 2002. The farm is located near Twyford in Berkshire and in rolling countryside next to the River Loddon. The farm prides itself in providing a great environment to live and work. It´s major crop is raspberries but it does have some strawberries and blackberries as well. Tuesley Farm is one of our largest farms covering 469 acres in total. The farm grows a range of crops including some organic fruits. It has a packhouse to handle all of the fruit grown at the farm. The farm is in Surrey which is a wooded, leafy part of England situated close to large towns such as Guildford which have a range of sports and social facilities. London can be easily reached via the railway station at the bottom of the farm with the journey taking approximately 40 minutes. 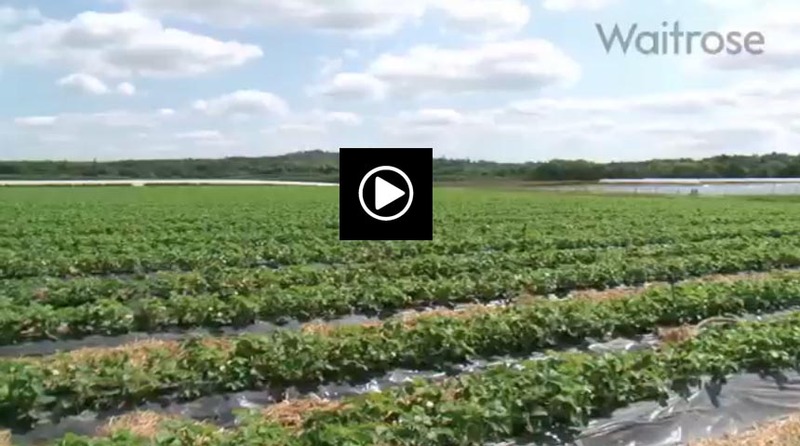 Manor and Groves farms are the newest farms and grow only strawberries. They are located south of the roman city of Chichester and to the north of Bognor Regis which is a seaside town. The nurseries are located on the picturesque south coast of England 5 km from the fishing port of Littlehampton. The nurseries grow strawberries, raspberries and blackberries for picking April to June and September to November which is when most of the work is available. This work profile suits a lot of people who like to take a break in July / August to return home to see family and friends before the second pick later in the year. However for those who wish to stay for a longer period of time there is work throughout the summer months in the husbandry departments and on one of our other local farms. The fruit is grown in Glass houses and poly tunnels which offer excellent warm, clean and dry working conditions throughout the year. Donaldsons Nursery is the latest addition to the Hall Hunter production sites. It comprises 63 000 square meters of state of the art strawberry production glasshouses, refrigeration and storage facilities together with some accommodation on site.